PokerStars is available to download on a range of platforms, and you can even play on your mobile or tablet device. 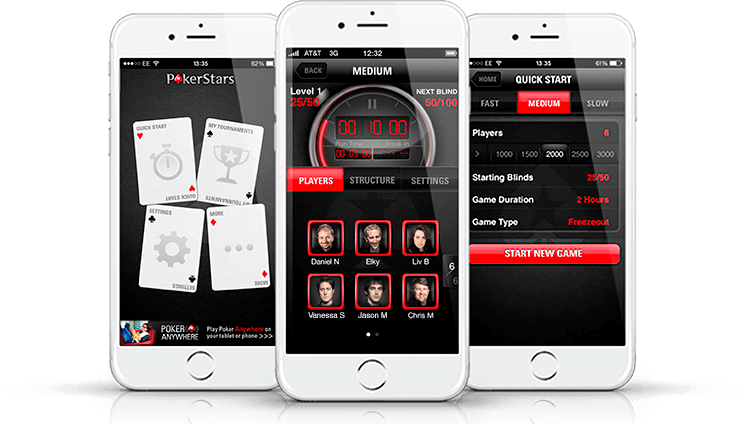 Check out what great PokerStars Mobile apps you can download below! Enjoy the same ground-breaking features and award-winning support that have made PokerStars the choice of millions of poker players around the world. Use the Mobile Cashier to manage your bankroll on the move, direct from your mobile device! You can even use it to make real money deposits for use on the Mobile poker app. 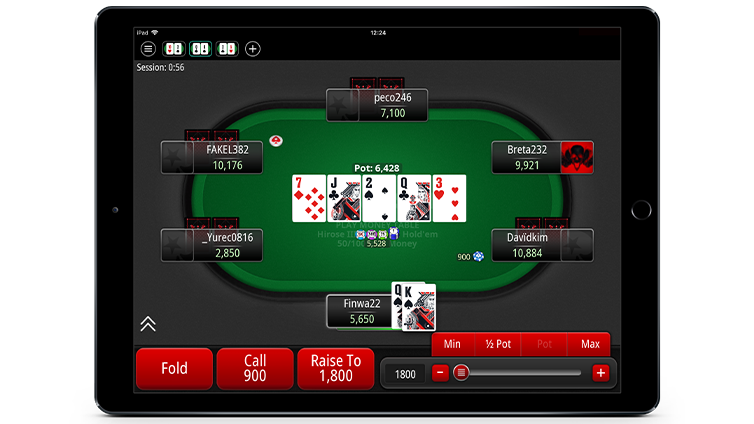 Poker on the move with your iOS device. Now you can play poker on the move with the PokerStars Mobile Poker App – directly on your iPhone®, iPad® or Android™ device! Play against millions of users from the palm of your hand and enjoy great features like Quick Seating – The ‘Play Now’ button lets you instantly join your favourite games and tournaments with a single click. Take to the play money tables or play for real money, with practically every feature you’ll find in the desktop software – you can even multi-table! Available in dozens of languages, the app is also fully secure, using the latest encryption technology to provide a safe, fun place to play, wherever you are. Play on your iPhone for the ultimate mobile experience, or on your iPad for big-screen enhancements and extended battery life, perfect for tournaments and long ring game sessions. Poker on the move with your Android device. 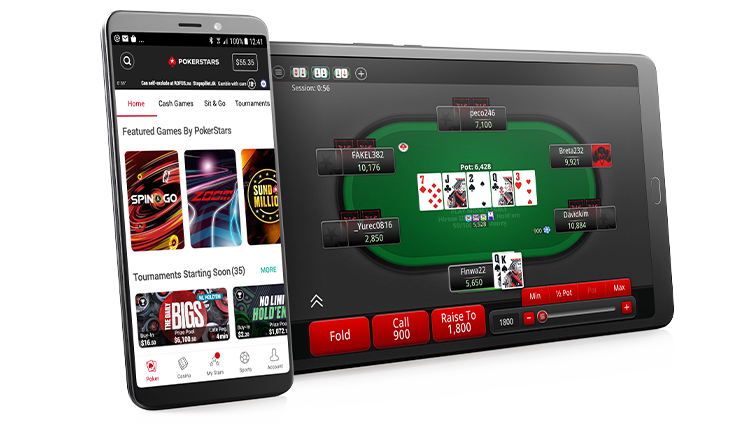 You get the industry-leading poker features you've come to expect from the world's largest poker site – all optimized for your Android™ device. Use your Android™ device to play real money or play money ring games, Sit & Go's and tournaments that suit every skill level – with features such as chat, quick seating, multi-tabling and tutorials optimized for handsets and tablets. Safe, secure, and available in dozens of languages, the app puts the game you love in the palm of your hand. Are you ready to play poker on the move? Then start playing PokerStars Mobile Poker, and get in the game anywhere, anytime. 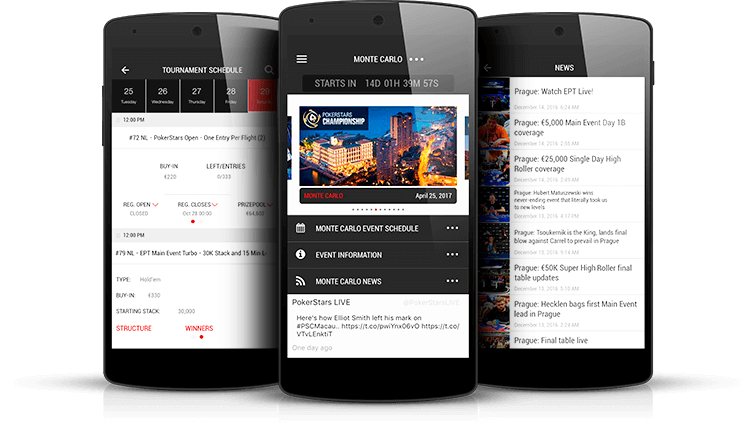 Find out everything you need to know about PokerStars Live events with the PokerStars Live App. Get details about upcoming events, check and search tournament schedules, download structures, discover how to enter, view registration hours and keep up-to-date with the latest news and tweets. During events, see how many players are registered for each event, find your seat draw, or find out where your friends finished in any given tourney - all with the PokerStars Live App. In addition to providing real-time tournament information, the PokerStars Live App also allows you to check the details of cash games and satellites that are running at events, view official photos from the event, and access detailed information for all poker tournaments scheduled. The PokerStars Live App also has everything you need to know about the venue itself - event dates, location, hotel information, dress code, regional gaming information and much more, all available wherever you are! Use the tournament manager App to make your home games and tournaments better than ever. The PokerStars Clock is the app that makes playing poker tournaments at home fun and easy, with everything you need to create the perfect game between you and your friends. Decide exactly how your home tournament runs, with options for the size and length of blind levels, buy-ins, rebuys and add-ons, breaks, number of players and much more. Use the PokerStars Clock to give you a range of tools to help you host the perfect home poker game, including a tournament timer and fully customizable options for buy-ins.